Perform the following measures or replace with a new product when your roller chain or sprocket suffer severe damage or breakage. Replace the roller chain or sprocket with one that is the correct size. Reduce the load (lubricating to the driven machine is also effective). Or increase the number of or size of chains. ○Install a self-adjusting tensioner on the slack side. 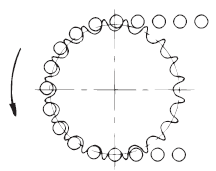 Reduce fluctuations with a fluid coupling, etc. Improper installation of guides, etc. Check the condition of the guides, and increase the gap between the guides and the chain. Reduce the load or increase the number of or size of chains. 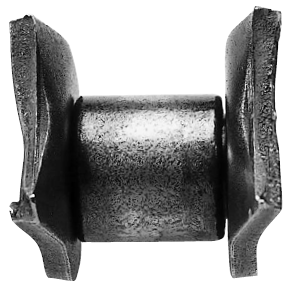 Offset link plates are bent at the center, and the resulting concentration of stress at the bend can cause a fatigue break. 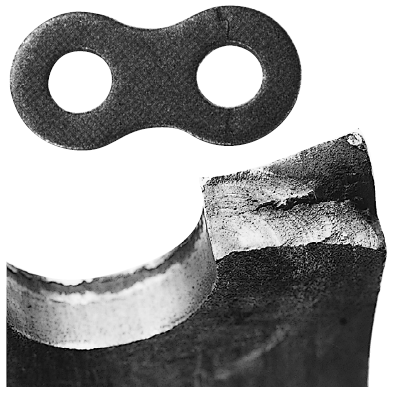 Avoid using offset links in high-stress applications. Reduce shock loads by making the start-up, stopping, and other actions smoother (by installing a shock absorber, etc.). Increase the size or number of chains. Install an anti-vibration device (for example, a tensioner or idler sprocket). Refer to the section on "Excessive vibration in chain." Reselect chain, or alternatively increase the size or number of chains. Replace with a new chain. Install a casing to protect the chain. Periodically clean and lubricate the chain. Remove all large or excessively repeating loads. Increase the size or number of chains. Remove the cause of the excessive load and replace with a new chain. 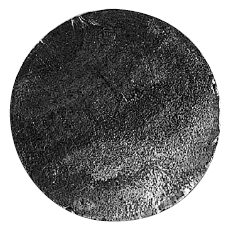 The chain is being used in an acidic or alkaline environment. Replace with a new chain. Install a casing to protect the chain. 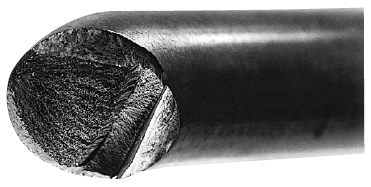 The type of fracture found when subjecting the chain to breakage tests. 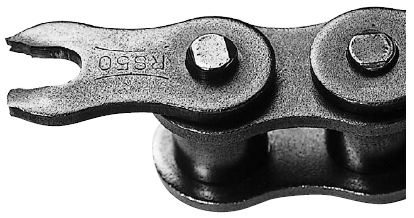 Occurs when the chain is subjected to a load greater than its breakage strength. 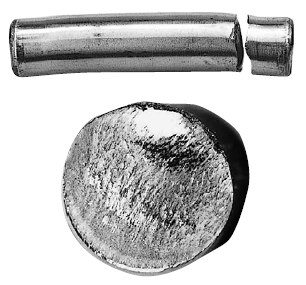 Occurs when the pin is repetitively subjected to loads greater than its fatigue limit. Re-check the size of the peak load and formulate a countermeasure. Reduce shock loads by making the start-up, stopping, and other actions smoother. Remove the excessively large repetitive load. Increase the size or number of chains. Install a casing, and periodically clean and lubricate the chain. Replace with new chain. Improve the lubrication or loading conditions. Operating a chain at high load without proper lubrication can create friction between the pin and bush, causing the pin to rotate. 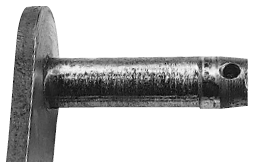 In this situation, the pin may come out, leading to chain breakage. Replace with new chain immediately. Do not weld or reuse the pins. (Dispose of the old chain to be sure that it is not used again by mistake.) Also, if the pin head of link plate surface is worn, check the installation. Replace the connecting link. 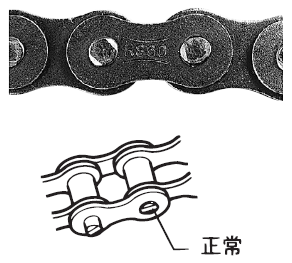 If pin wear is excessive, replace the chain also. Take special care to properly install the connecting section for devices such as end brackets used for lifting applications, etc. Reached its fatigue limits during operation and eventually fractured. 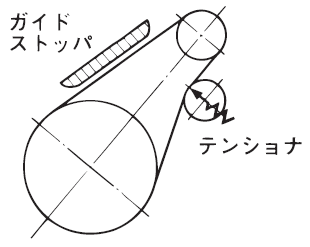 Occurs when the chain impacts the sprocket teeth with a force exceeding the chain's kilowatt ratings. Periodically clean the chain. Install a casing to protect the chain.